As I prepare to leave for Vegas this week, I am inspired to post about my love for the real city that never sleeps. My love affair with Las Vegas began when I was 7, and my extended family took a trip to Las Vegas. I’ve celebrated many a milestone in Vegas. I was at the club at midnight for my 21st, drove straight there after graduating college, and spent every birthday there ever since. Now it’s my boyfriend’s little sister’s turn. She turns 21 this week, and we’re taking her to sin city to celebrate right. Las Vegas is a shape shifter a cameleon. It can be the city you want it to be. Most people know Las Vegas as sin city, but there’s more than just sin going on in this lively city. With critically acclaimed restaurants featuring world famous chefs, top rated spas, live stage performances, and shopping locations Vegas can fulfill your every desire. Attempting to get me to go to a Hollywood club these days is a dangerous mission. I did the Hollywood scene early on in my 20s and enjoyed it, but now it’s just tired. However, mention going out in Vegas and I’m always game. There’s something different about the atmosphere, the people, the music that makes it more enjoyable. My biggest issue with staying out past midnight these days is that my heels become unbearable. Unless you’re up for buying a table, or get invited to one, standing around all night becomes painful. Which is why I love Surrender. Partially indoors, partially outdoors, this club has something for everyone. The inside is beautifully decorated, but the outside is amazing. 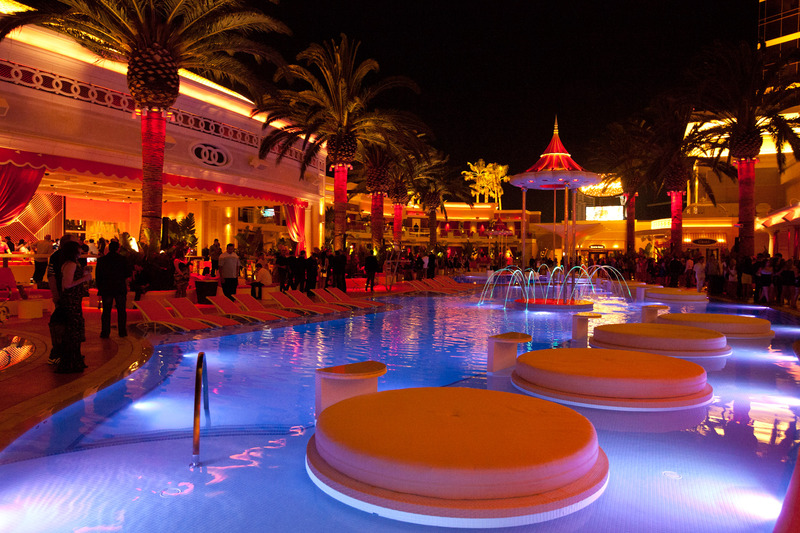 With LED lights, water fountains, and a pool reflecting light, the scenery at Surrender is worth the price of admission. There’s always a hot DJ performing, and the crowd is well mixed. Palm trees and bright lights make you feel like you’re in Miami. The best part of the outdoor area is that there are places where you can sit and rest your feet, even if you don’t have a table. Drinks don’t come cheap at around $18 a cocktail, but then again you are in Vegas. The indoor dance floor is small, but that’s because party goers can dance anywhere they like in the massive outdoor area. To buy a ticket or book a table reservation visit here. Located at the top of the Paris Casino Chateau is as romantic as a Vegas club gets. The Paris Casino itself is a wonder to behold. The replica of the Eiffel Tower is a wonder, and the Arc de Triomphe truly makes you feel as though you are driving around the streets of Paris. To enter Chateau you walk up a beautiful stairway located inside the casino. 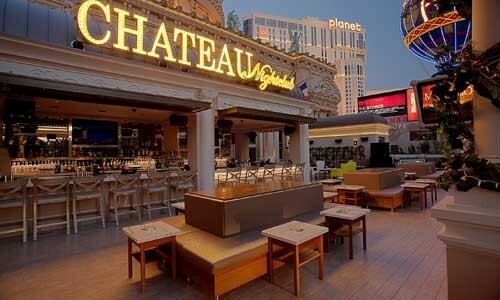 When you first enter Chateau it looks like any other Vegas club. The black walls, DJ stand, and dance floor are nothing out of the ordinary. Then you take a trip to the balcony where the magic happens. Located beside the Eiffel Tower replica, the balcony provides a view of the entire Vegas strip. Big bulbs light the Chateau sign above the bar. The light from the bulbs reflected on the white furniture turns the entire balcony gold. You can’t leave Vegas without experiencing this view. To book your table visit here. I literally couldn’t believe what I was seeing when I first walked into the spa at the Encore spa. I was there to workout, but was distracted by the amazing furniture and attention to detail. The couches, the lighting, it’s reminiscent of a Moroccan palace. One of the best ways to enjoy Las Vegas is to purchase a spa service. Practically every casino features a spa where you can enjoy massages, facials, and spa amenities like hot tubs, saunas, and steam rooms. 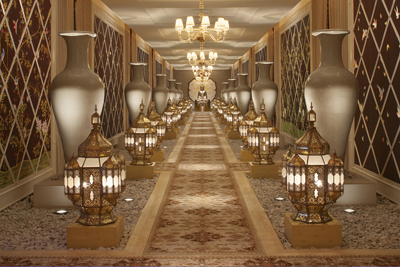 When you’re in need of relaxation the spa at the Encore is just what you need. Feel like a princess for the day at this lavish indoor spa facility. Prices for massages range between $150 and $250 on weekends, facials are priced at similar rates. The spa offers waxing services as well. If you’d like to stay in shape while on vacation, the gym at the Encore is located within the spa. The facility is smaller than other casino gyms, but features brand new top of the line equipment. You can also request a personal trainer. To view the whole Encore spa service menu visit here. Enough with the pricey destinations right? 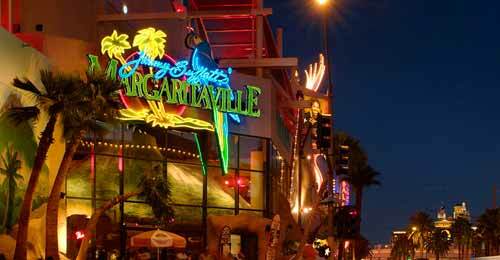 Margaritaville is not the destination when you’re looking for class and eligance. Margaritaville is the place to go when you need something hearty to soak up all the alcohol you drank the night before, or when you want to continue drinking throughout the afternoon. The giant volcano located next to the bar erupts throughout the day as they play the Margartiville theme song. Don’t sit too close to the giant glass next to the volcano. A dancer takes a slide down into the glass filled with water, swishing a way and getting you wet. The best nachos I’ve ever had are found at Margaritville, along with a pretty amazing margarita. These nachos come piled as a high as a mini mountain. Definitely for sharing, this cheesy dish comes with your choice of steak or chicken. Order these nachos and you won’t be disappointed. To view the full menu visit here. I first obsessed over a frozen hot chocolate from Serendipity in New York. I was on a family vacation, and was miserable. I had become deathly ill during the trip, and had an icicle fall from a building and hit me over the head (don’t ask). Nothing was going my way. I couldn’t eat anything, nothing tasted good, and my brother insisted on going to Serendipity because it was in one of his favorite films. The New York location is tiny, but charming. I ordered my frozen hot chocolate, because I had seen it in one of my favorite films One Fine Day. It was amazing. 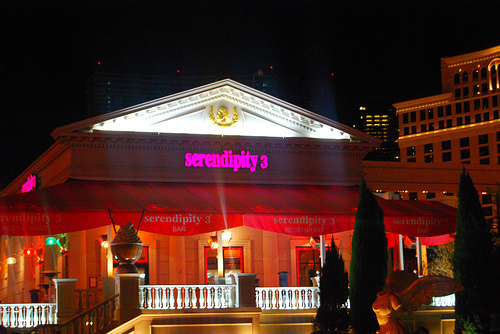 Fast forward a few years later, and a larger Serendipity location was built in Las Vegas in front of Caesar’s Palace Casino. The restaurant isn’t as charming as the New York location, but serves all the same treats that make the original so famous. Still nothing beats my frozen hot chocolate. If you’re in a hurry, the window located at the back of the restaurant serves quick items to go. To see a full menu visit the website here. You can’t leave Vegas without eating at a buffet, it’s a staple. Practically every casino has one. I’ve heard people swear by the Bellagio buffet, the Mirage buffet, the Paris buffet, but they are all wrong. The buffet at the Wynn hotel is by far the best. The buffet at the Paris Casino is charming. I was excited to dine there, because the inside reminded me of Fantasy Land inside the Disneyland park. cobbled floors, lamp posts, and charming homes make up the inside of the restaurant. It’s such a shame that the food doesn’t hold up to the decor. The Bellagio buffet was boring, and the interior was nothing special. The Mirage buffet is great for seafood, but again nothing to die for. 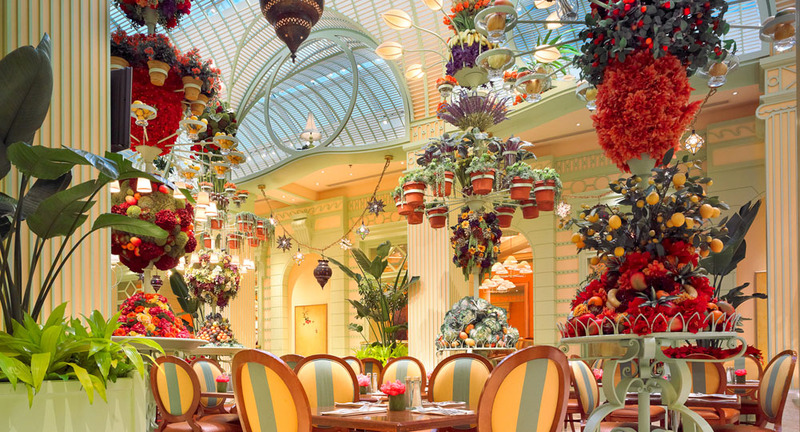 Then there is the Wynn buffet with it’s huge flower bouquets, vibrant colors, and amazing food choices. There are many more choices for the health conscious eater as well. Buffet prices vary depending on time of day, but it’s typically around $30 per person. 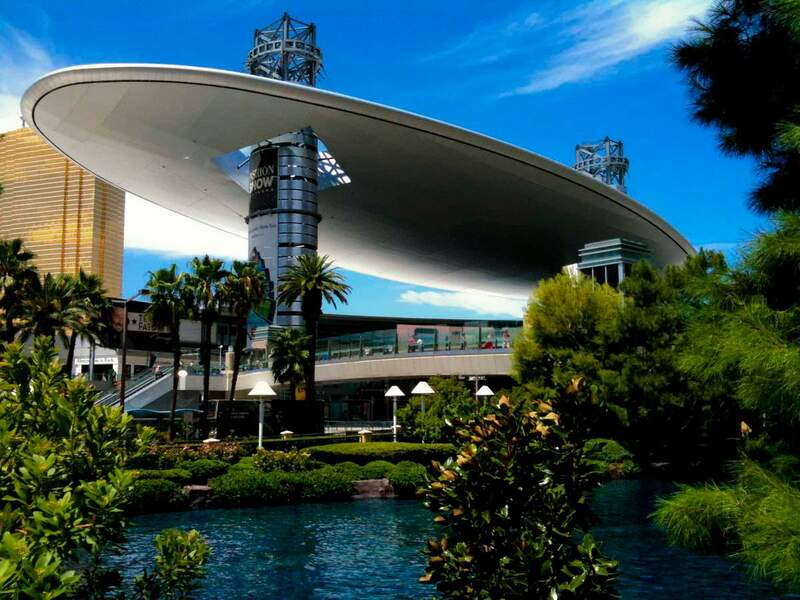 Located next to Treasure Island, and across from the Venetian hotel, the Fashion Show Mall has everything you need. There are plenty of malls and store locations on the strip, but the Fashion Show Mall has it all in one place. No matter how much I travel I always find that I’ve left something behind. Whether you need a party dress for going out, flats to walk around the strip in, or a swimsuit to hit the hot tub, the Fashion Show Mall has what you need. If you’re looking for a good deal check out the outlets on your way into the strip. I hope you get a chance to visit the strip soon, and check out these incredible destinations.